This place was amazing. I can’t say that enough so I’ll only say it once. When I was researching where to go in Indonesia, an important requirement for me was giving Grace a week in a place where she could surf. I know you can surf in a ton of places in various parts of the world, but this had to be affordable and uncrowded! 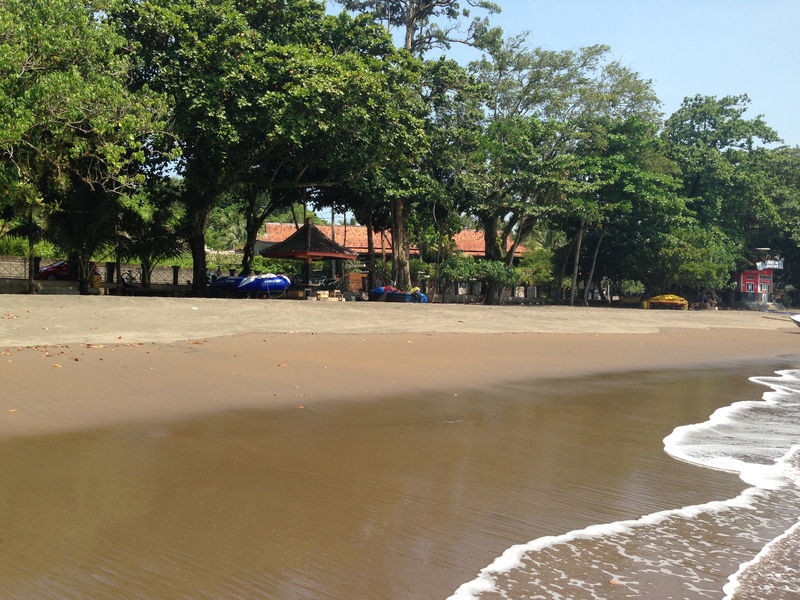 I came across a small review about a very small village called Batu Karas along the coast in Indonesia. 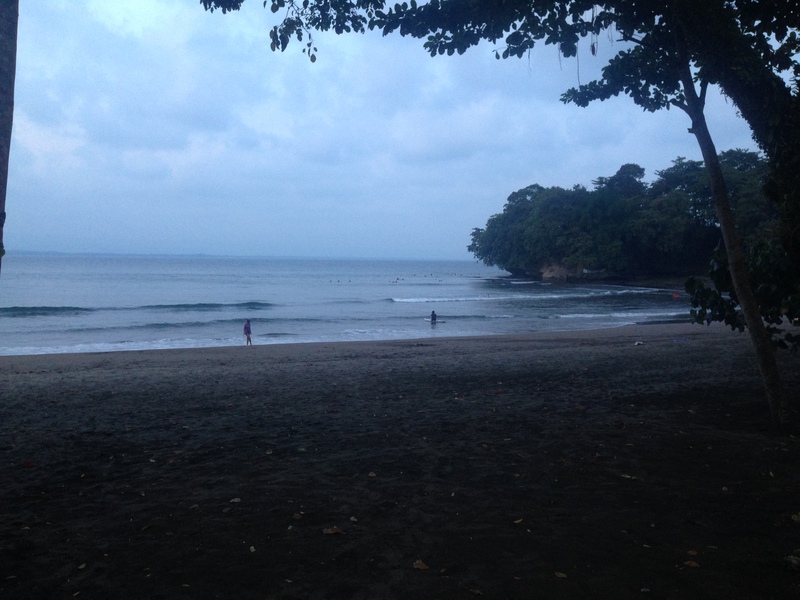 It sounded perfect so we booked at a hotel that was right on the beginner surfing beach! In order to get to Batu Karas, you either have to fly in from Jakarta on a 6 seater plane, or take a van for about 9 hours. We were coming in from Yogyakarta so we had to book the van. It was a LONG day, but completely worth it when we saw this…. This was the beach which is directly across from the JavaCove hotel. It was literally thirty steps across the road and onto the sand. Perfect. 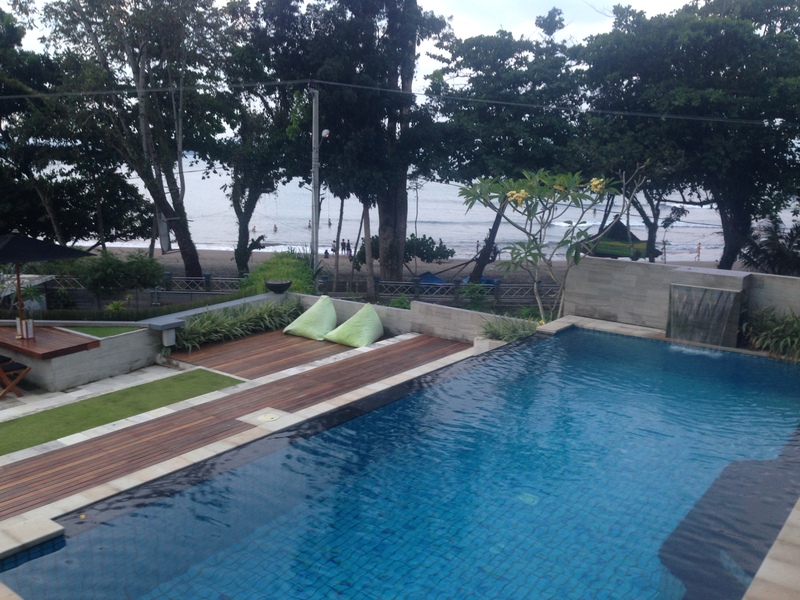 We spent the majority of our days surfing or swimming, either in the ocean or the pool. 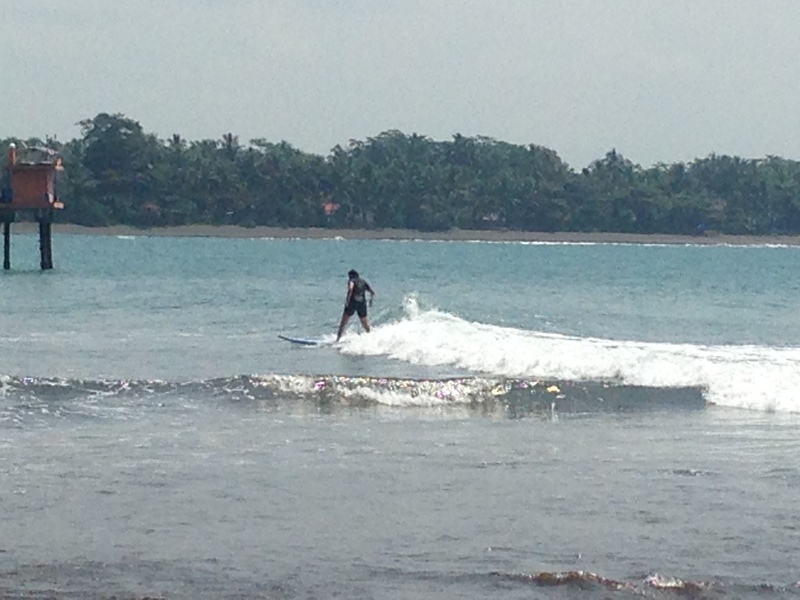 The surfing lessons were with a local man….the surfers just hang out at the beach or at one of the (few) diners. You just head out and ask for an instructor and set up the days/times you want to surf. We ended up taking lessons from an extremely friendly man named Ramed. Grace loved him and he did an excellent job teaching her to surf! 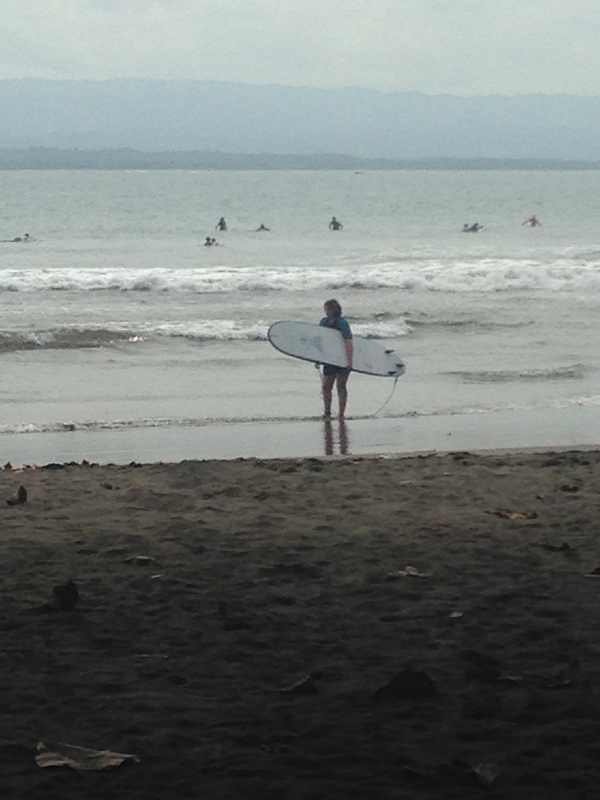 Grace was up before 6 every morning to head out and check the surf and set up her daily lesson. 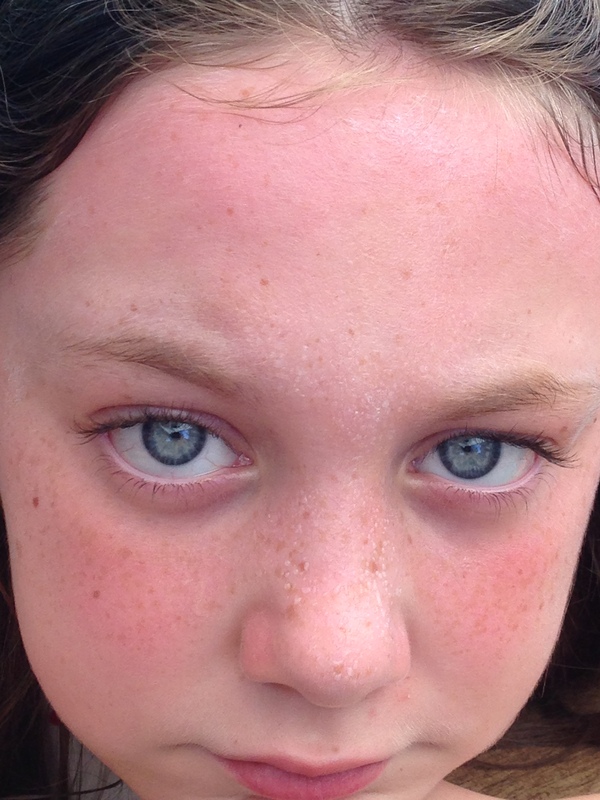 I’m fairly certain she surfed 6 out of the 7 days we were there. I, on the other hand, took two days worth of lessons and then took a nasty spill that damaged my knee. We are 6 weeks out and it’s still causing me problems 😦 But I can see why she loves it so much….it’s like an addiction….just one more wave!! I know by now you have a picture in your mind of how this place looked…but it’s difficult to describe. It was small….like one street right on the beach with a few hotels and cafes. That’s it. There was ONE shop, very small, that sold a few tshirts and sandals. 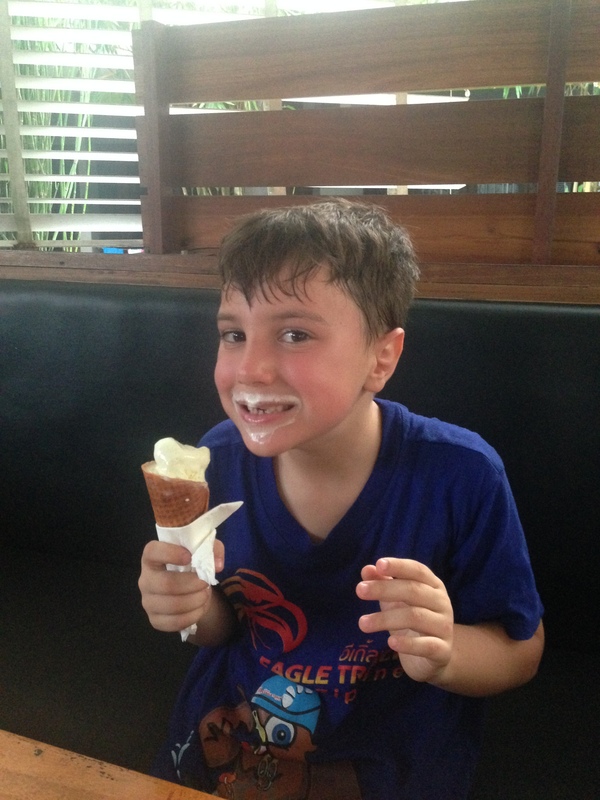 The only thing to do was surf, swim, eat and repeat! 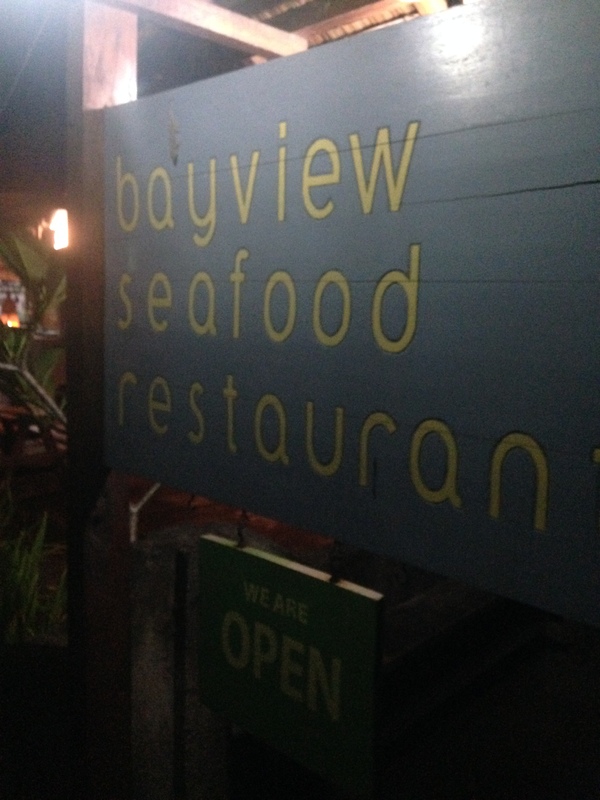 On the weekends there was an amazing fresh seafood restaurant. It was run by a fisherman and his family. They caught the fish during the week and the restaurant was open for the weekend cooking and selling the weekly catch. It was the best seafood I’ve had in a very long time. We tried so much and it was so good that I completely forgot to take pictures! We ate grilled fish, calamari, veggies, shrimp and fresh fruit for dessert. The only one I remembered to take was at the end! We ate SO much we almost asked for a wheelbarrow to get home! I did go into town once to pick up some fresh fruit to have in our room to snack on. 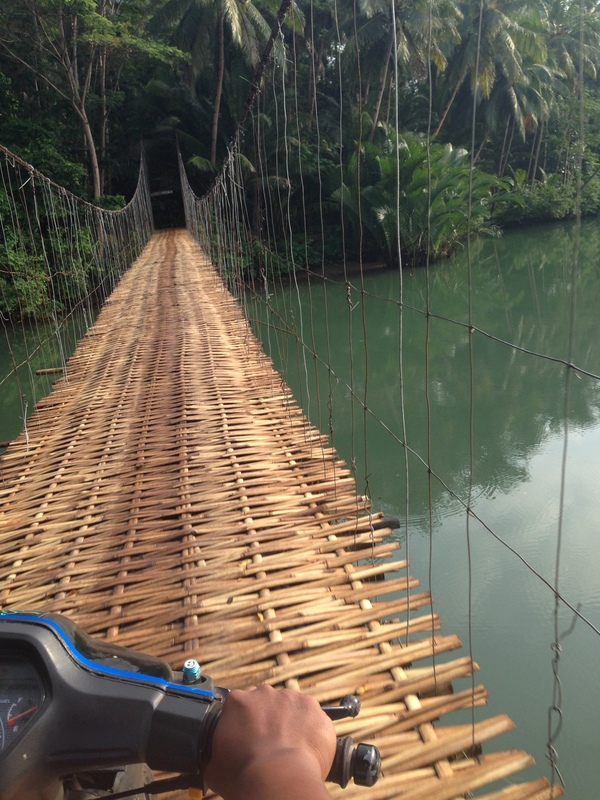 Ramed took me on his scooter…..over this crazy bamboo bridge!! It was a bit exhilarating! you have to stay in the middle because the bridge slants off on the edges…and it’s wet because it rains a little every day. Ramed took it slow for me but usually they zip right over this at full speed! All in all it was an amazing week full of too much sun and lots of yummy food. 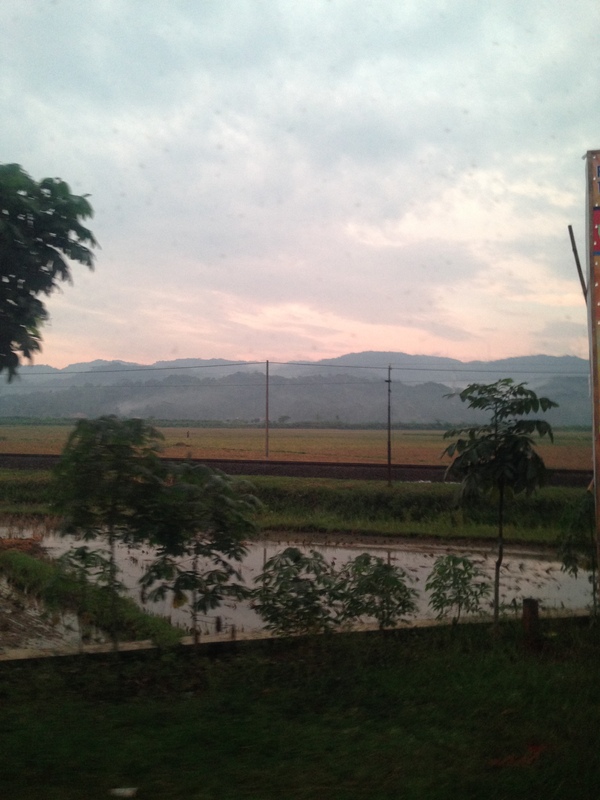 We hopped in the van for our full day drive back to Yogyakarta….but with scenery like this, it was worth it!